An MGK favorite! 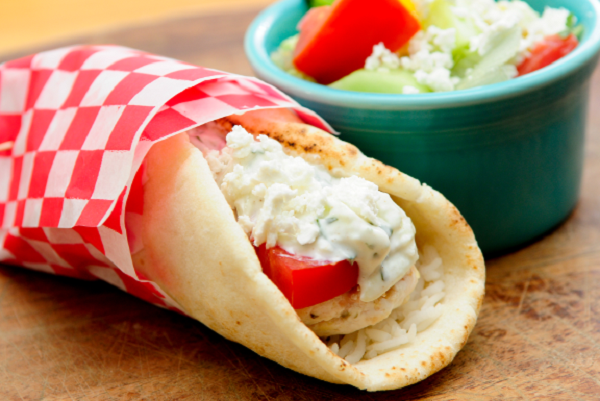 Tender juicy chicken kebabs marinated in olive oil, lemon juice and spices stuffed into fluffy pita bread and dressed with the classic Greek tzatziki (yogurt) sauce. 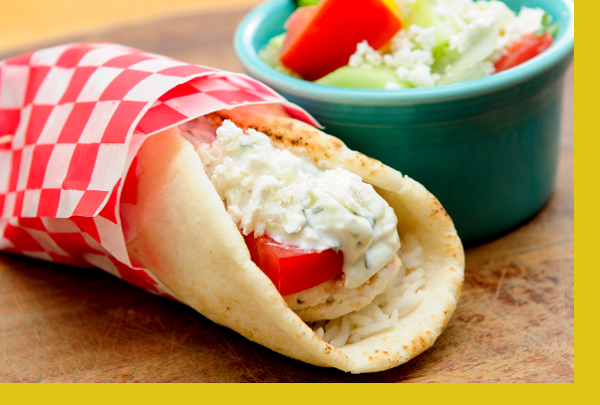 Greek inspired Mediterranean cuisine that screams delicious. Preheat Grill. Grill chicken kebabs for about 6 minutes per side or until cooked through. Heat accompanying bread on the grill for about 1 minute per side or until warm. Do not over heat. Serve with side of cold Tzatziki sauce. I really enjoyed this meal. I love the tzatiki sauce. I like to add cucumber and tomato to it though.